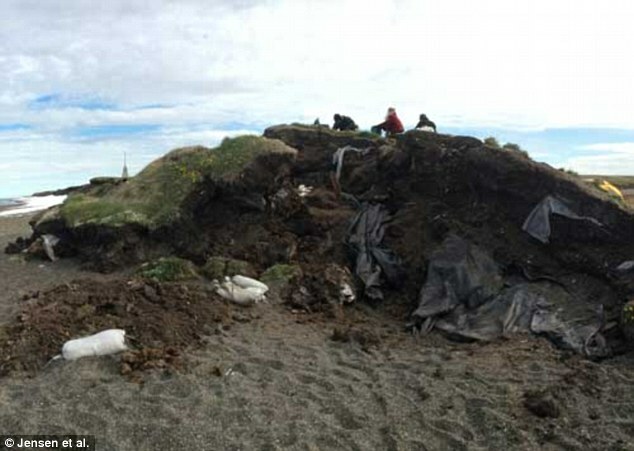 An enormous, elongated polar bear skull emerged from an eroding archaeological site southwest of Utqiaġvik in Alaska. 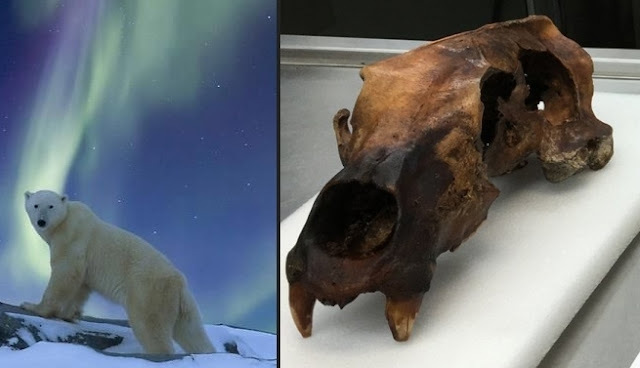 Experts claim that it is quite different from most modern polar bear skulls and reassure that it is one of the biggest polar bear skulls ever found. 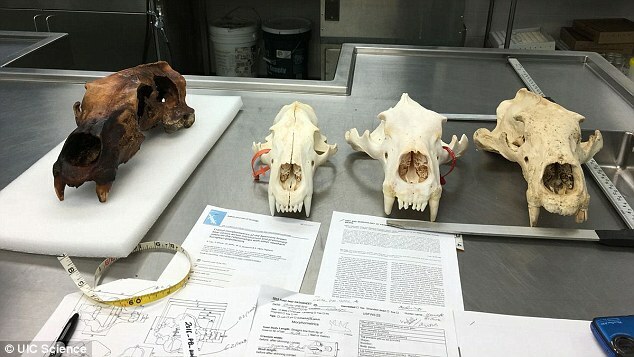 Jensen said it was possible that the skull was part of a 'subspecies' and that such bears could 'certainly' still roam the Arctic. 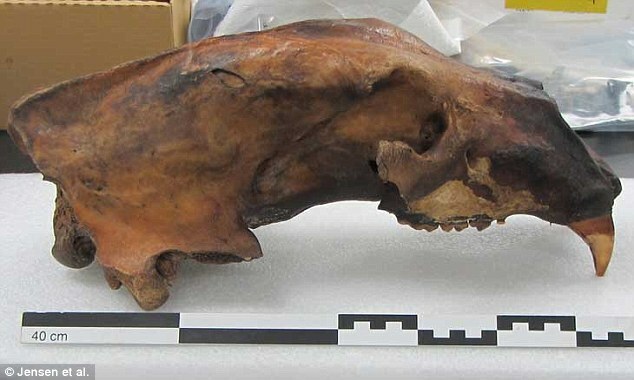 The discovery could shed light on Inuit accounts of 12-foot long bears, called 'king bears' or 'weasel bears' by Inuits and other native groups. Inuvialuit Hunters and the “Weasel Bear”: Inuvialuit have been hunting polar bears – nanuq – in Canada’s Western Arctic for many decades. Passing knowledge and understanding of polar bear hunting from one generation to the next, based on experience, is the very foundation of Inuvialuit wisdom and tradition. 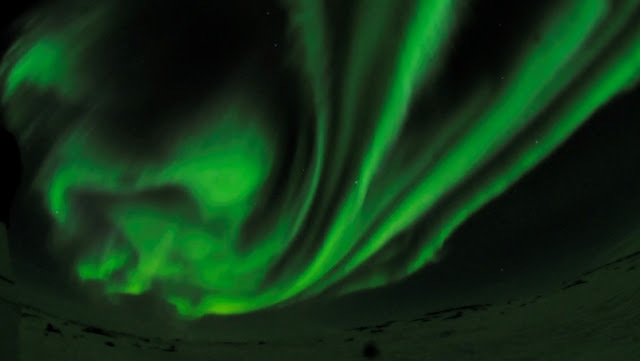 If you get a chance to be around them, you will definitely hear them talking about "tiriarnaq" or "tigiaqpak" (meaning weasel bear), an incredibly unique polar bear that is enormous, narrow-bodied and moves fast. 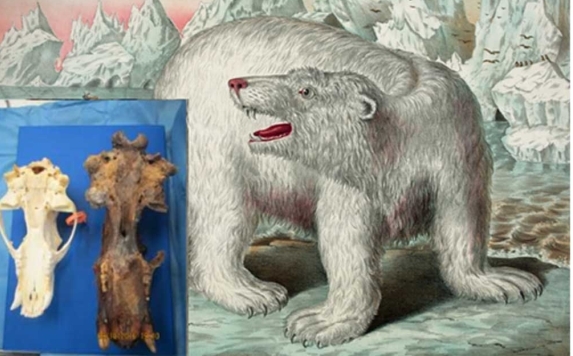 Oral history and traditional knowledge in Inuit culture talks about "weasel" or "king" bears. 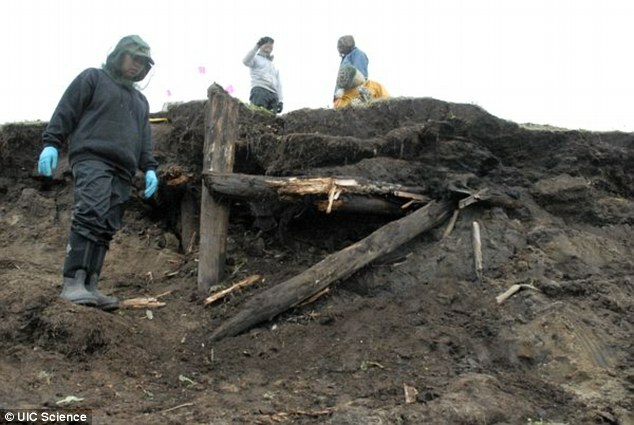 Responses to "Enormous skull found in Alaska may belong to the legendary King Bear of Inuit mythology"